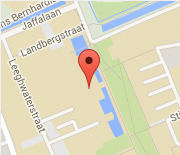 This Thursday March 20, Prof Brent Gillespie will visit the Delft Haptics Lab. He will be serving on Friday as a committee member at the PhD defense of Joost Venrooij. He could arrive a day earlier, and was willing to give a talk about his research during our weekly Haptics Lab Meeting, from 16:00-17:00.